What a performance, what a result, what a night, GET IN THERE! 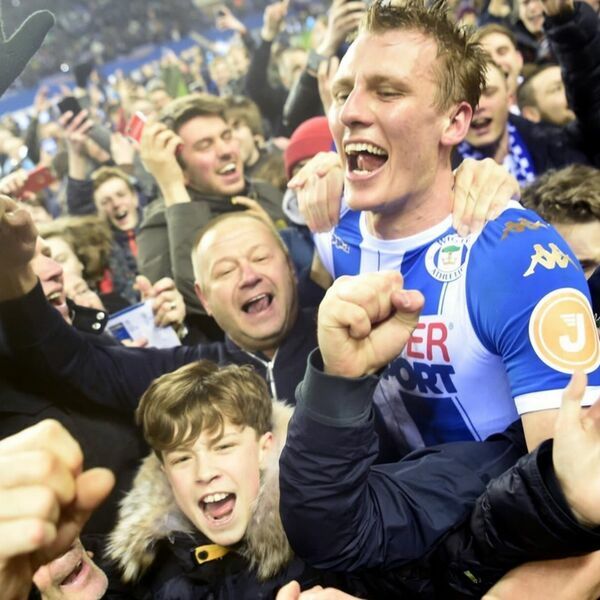 Absolute buzzing following Monday night's FA cup win over Man City at the DW. A performance of the highest order saw us beat City with a 79th minute Will Grigg goal, and we are still on a high. Loads to talk about, performances, red card, the goal, the pitch invasion, the City fan, a night of top, top drama. Not forgetting the league we also preview two games, Rochdale are at the DW on Saturday then it is a trip down to Bristol Rovers on Tuesday, but come on you can forgive us for spending most of the night gloating about making the cup quarter finals.